There have been a number of publications which try and explain Bolex Camera Equipment. Here i discuss some of the best examples. 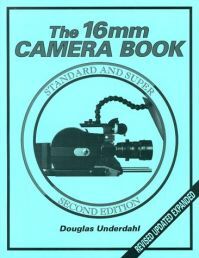 The 16mm camera book by Douglas Underdahl is one of the most useful books on the practicalities of 16mm filmmaking. Douglas has worked in a camera hire store in California for a number of years and is fully conversant with all 16mm cameras past and present plus all there inherent features and drawbacks. One of the most interesting chapters is when he reviews each and every camera made from the past and the present that still should be able to be used in a production. The discussion includes items such as camera noise, whether they can be converted to Super 16, Servicing problems, reliability of the older cameras, there history etc etc. 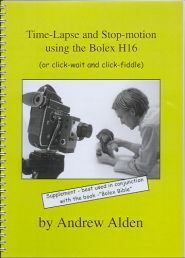 The Bolex Bible book written by Andrew Alden is the definitive book on the H16 camera system. Within its pages Andrew talks about every incremental feature change the camera has gone through. Every lens made by Bolex for the H16 plus lenses made by other manufacturers that were especially designed for the H16. Every accessory is covered in full including sync sound accessories! 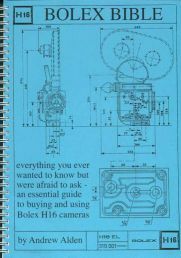 It is the ultimate hard copy guide to the Bolex H16. Please note however that the Bolex Professional camera though is not covered! 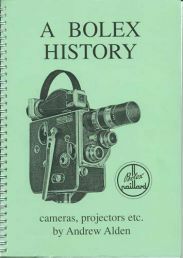 A Bolex History also by Andrew Alden is a guide to all the products made by the company in its entire history. Which includes all film gauges plus a history of the company and its founding and current running. Time-lapse and animation with the Bolex H16 is exactly that! Most Bolex cameras tend to be used in applications such as time-lapse and animation mainly because of the noise they make when running in normal filming situations. The book discusses all the time-lapse & animation drive motors that were designed to be attached to either the 8:1 or 1:1 external motor drive shaft. It goes into designing you own drive unit and the basics of time-lapse & animation filming is discussed. 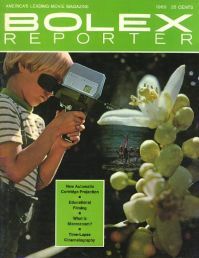 Bolex Reporter Magazine is an interesting source of information on Bolex equipment and filmmaking in general. It was Americas leading movie magazine for a number of years and spanned a publishing range from the 1950s to the early 1970s. Every time Bolex released a new product it would be reviewed in depth in the magazine. Focal are a British publishing company who produced literature on filmmaking and photography and still do to this day. 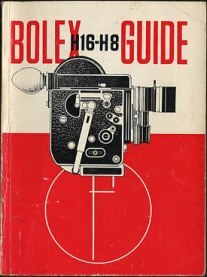 There guides were thought of as authoritative and they produced one on Bolex 8mm equipment and one on Bolex 16mm equipment. Every few years they would update the guide with any feature changes or new accessories. The 16mm versions first edition was first released in February 1953 and the the final ninth edition came in October 1971. 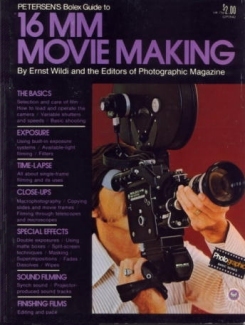 One of the best later quality one off magazines about Bolex equipment and lenses going into the 70s (1973 to be exact) is this guide to 16mm movie making but using Bolex equipment to do so. Running to 80 pages it is the last professionally produced Magazine / Guide to Bolex equipment i know of. And finally an insightful visit to modern day Bolex of Switzerland (circa 2005) by Jurgen Lossau's short lived English Language version of Small Format magazine still popular in Germany. This was the only modern up to date professionally produced magazine aimed at the small format enthusiast. The other being Super 8 Today magazine. You get to see the current staff of two and an overview of there operations.